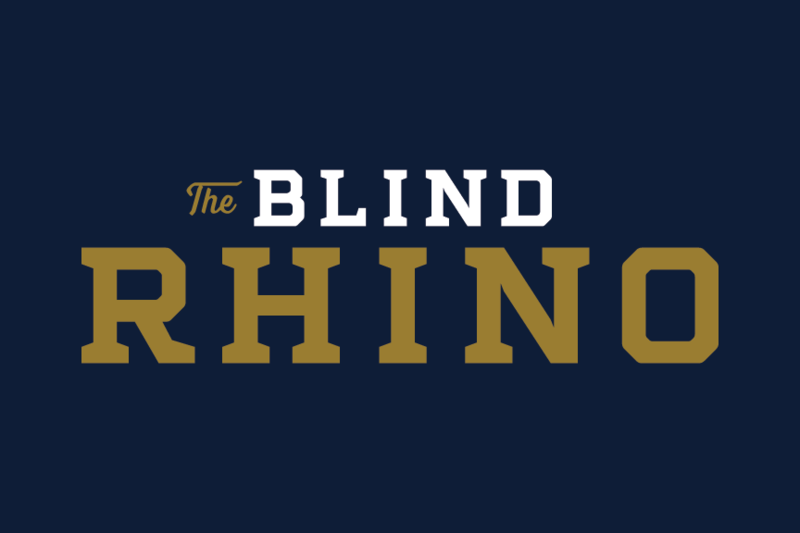 One of Norwalk’s best sports bars, The Blind Rhino offers everything from an extensive tap list to classic games including shuffleboard, darts, and trivia. 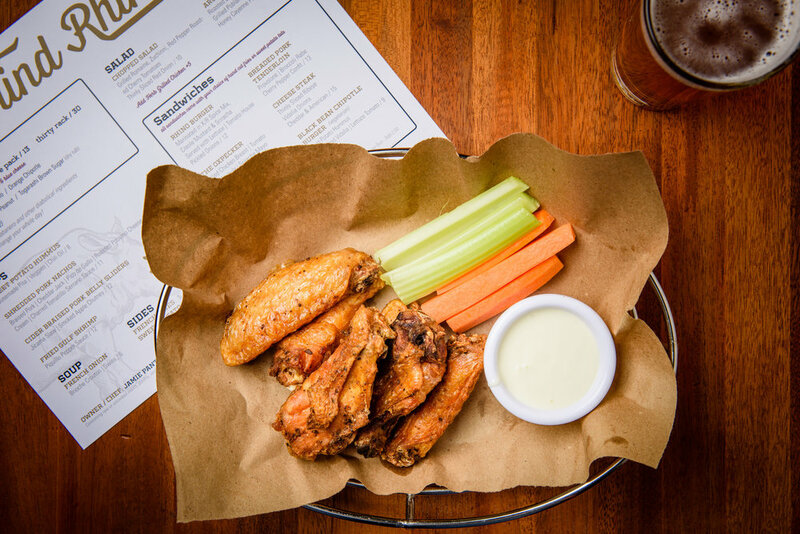 While this bar maintains a fun, electric vibe for its enthusiastic crowd, it simultaneously manages to create a casual family-friendly atmosphere for those who wish to dine from its impressive menu. When it came to creating a stand-out brand that could effectively represent both of these characteristics, custom collateral was hugely important. 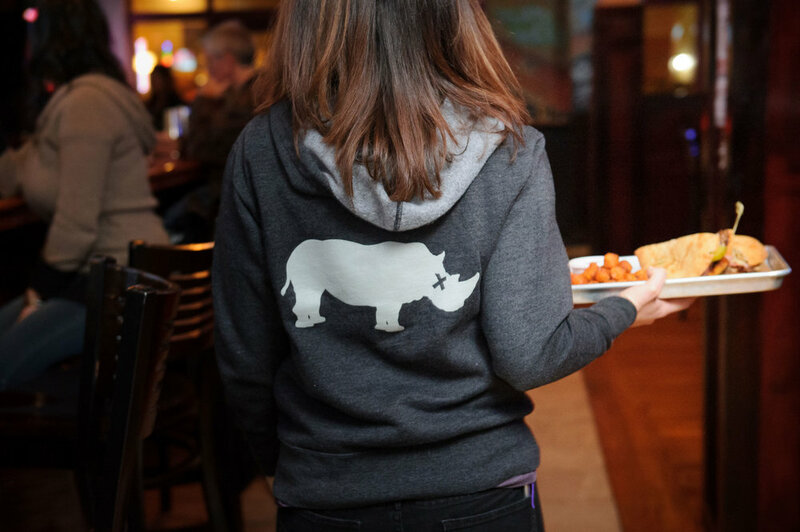 After creating a brand mark that visually embodied The Blind Rhino name, we applied it to menus, business cards, signage, staff uniforms, snapbacks—you name it. 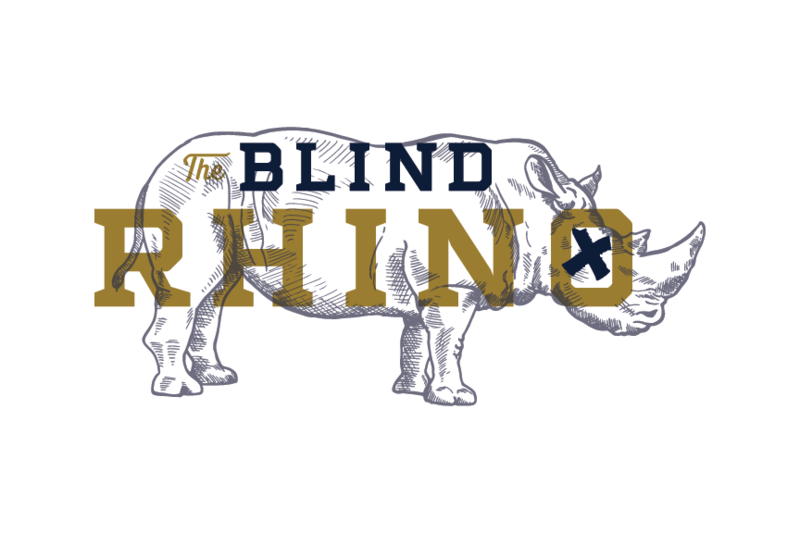 With a fully developed and consistently executed brand system, The Blind Rhino quickly became hard to miss.